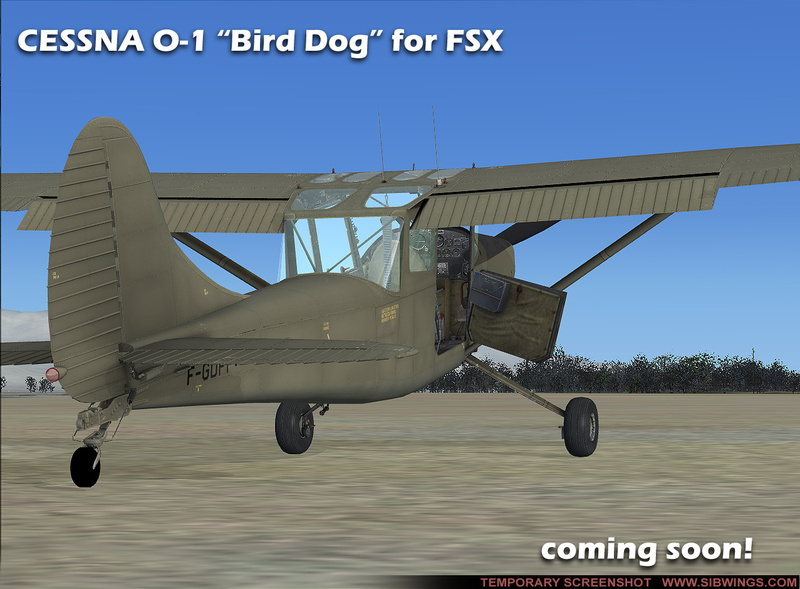 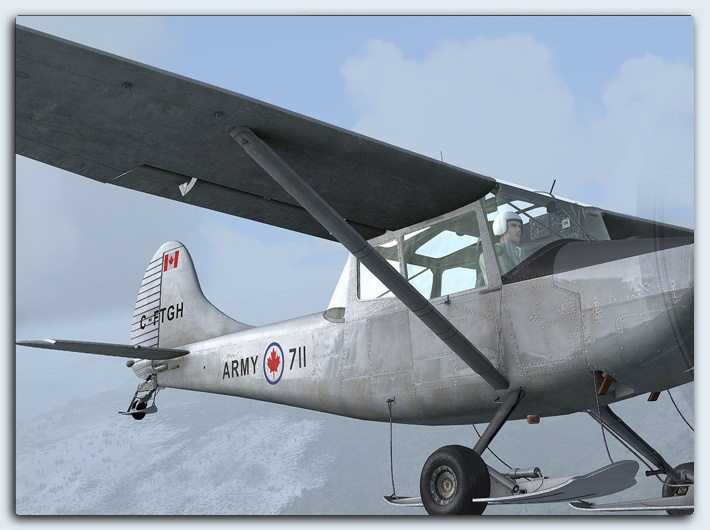 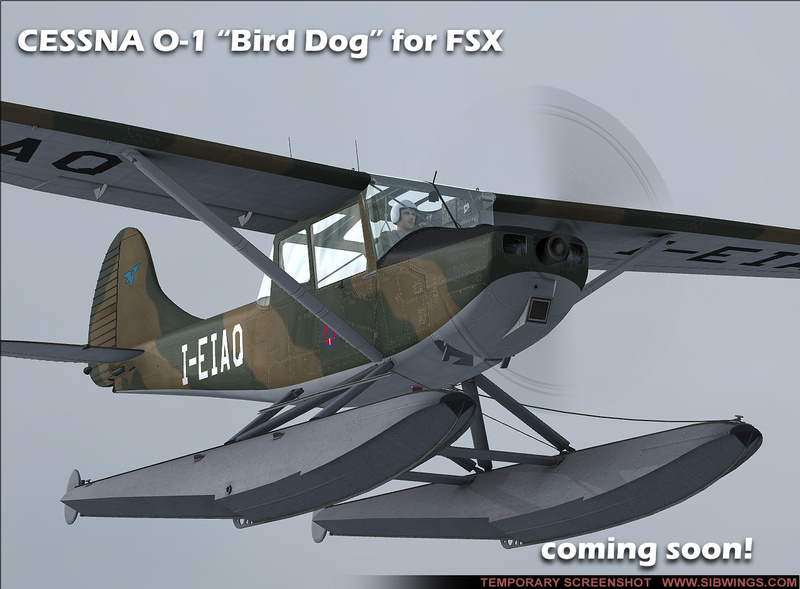 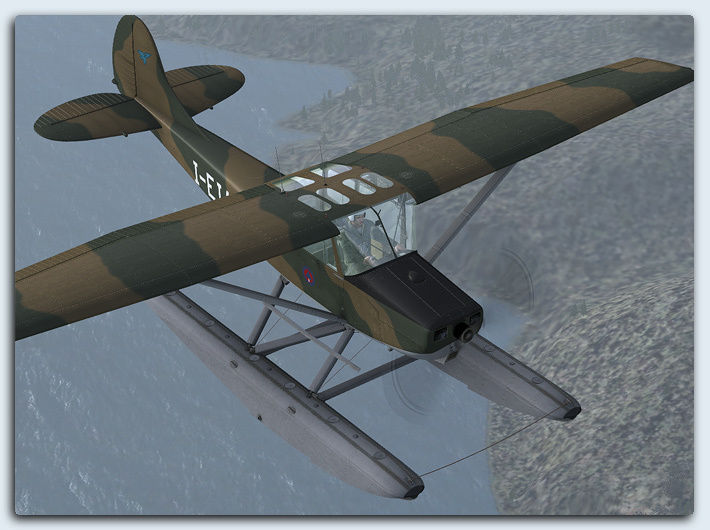 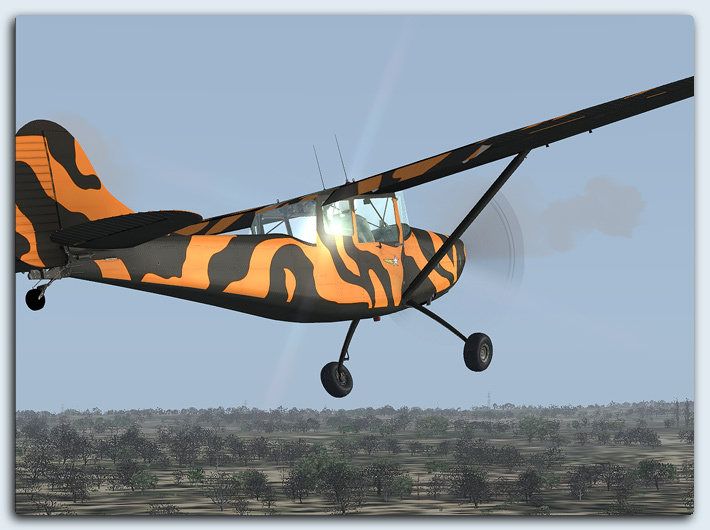 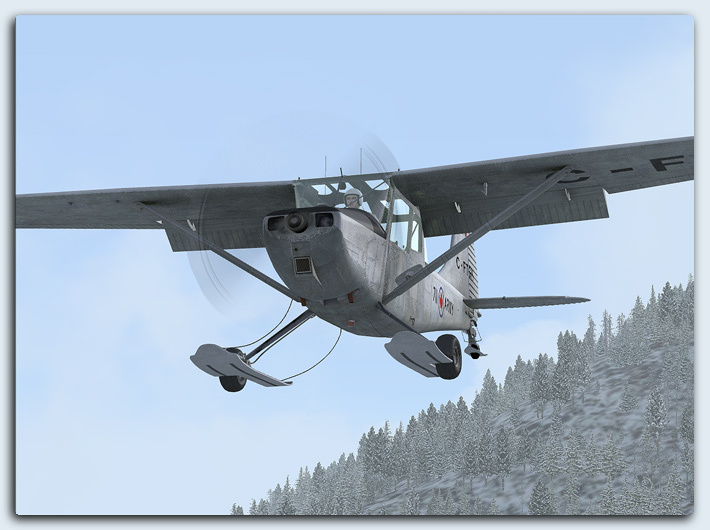 SibWings team is glad to announce its next product – Cessna L-19/0-1 Bird Dog. 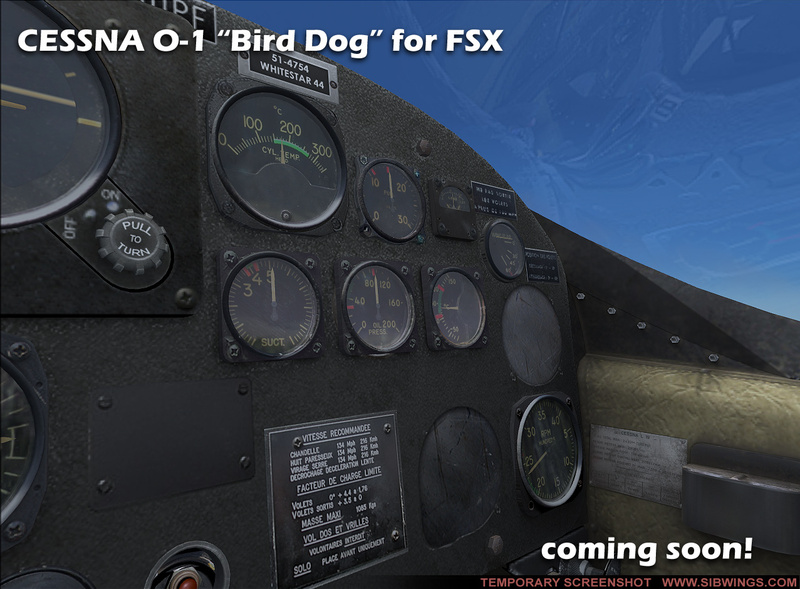 Bird Dog is a very special aircraft, a true Warbird and a sheer fun to fly! It was developed by Cessna Aircraft Company in response to request from U.S. Army for an improved liaison aircraft. 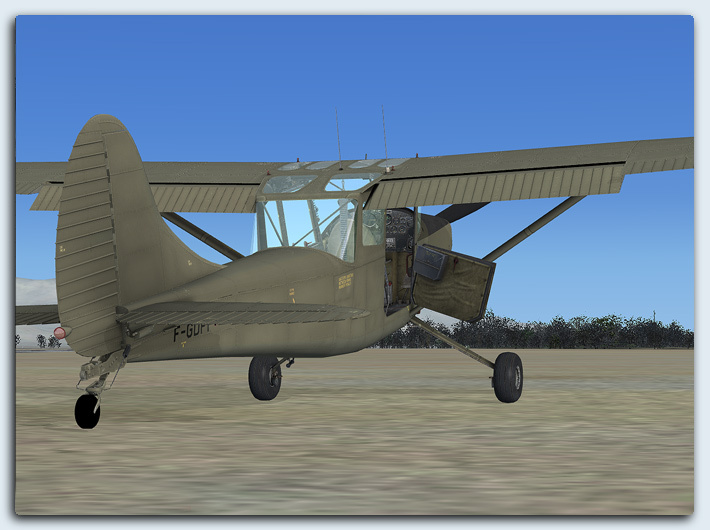 The first model 305 was delivered to the Army in December of 1950. 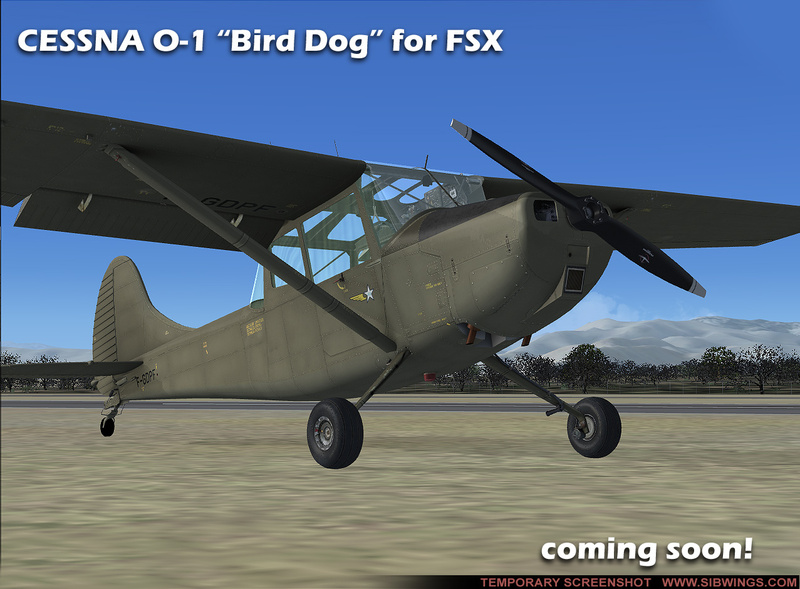 The Army liked it, designated it the L-19 (Liaison), and named it the “Bird Dog”. 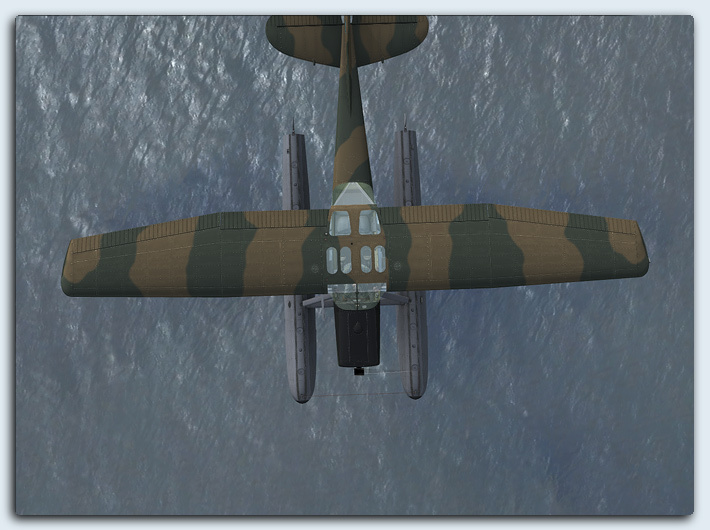 Many L-19s were immediately deployed to the war in Korea. 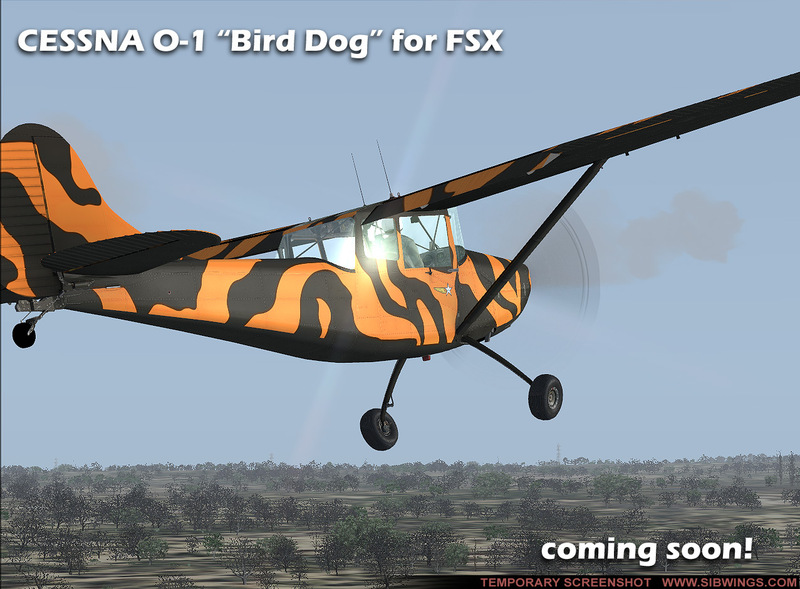 Years later, Bird Dogs were sent to Vietnam and used in various combat roles by the Army, Air Force, and Marine Corps. 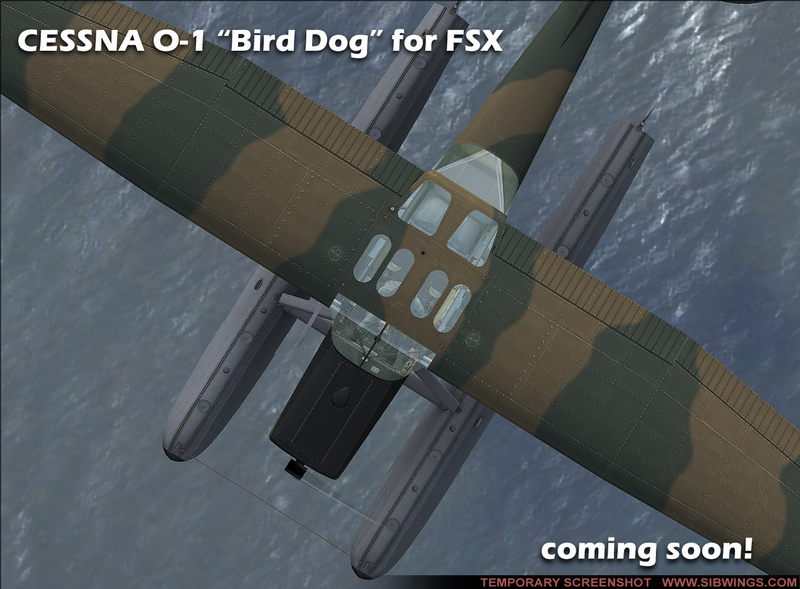 By then the designation had been changed to O-1 (Observation). 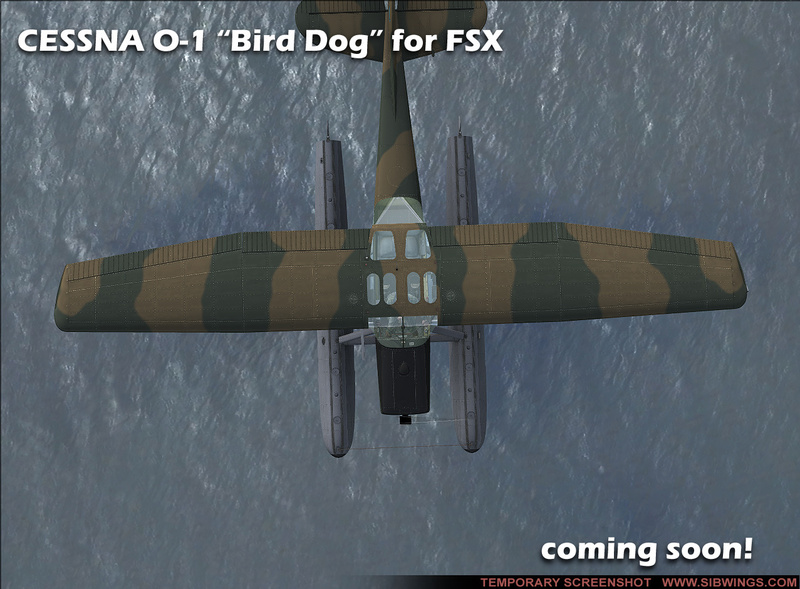 The enemy feared the presence of the Bird Dog because it forewarned of bad things to come. 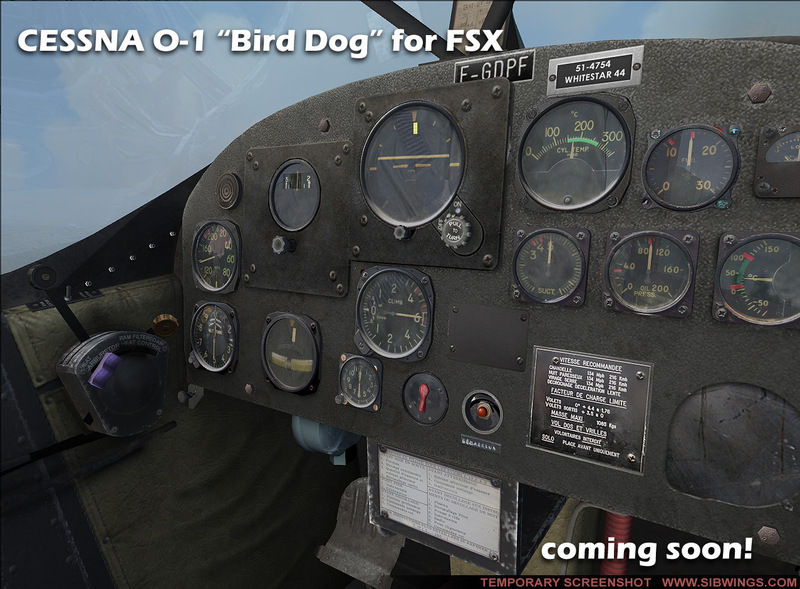 For fifty eight years 3,431 Bird Dogs have been serving diligently in the U.S. and International military forces, as well as in civil services, some Bird Dogs are still in active use around the world. 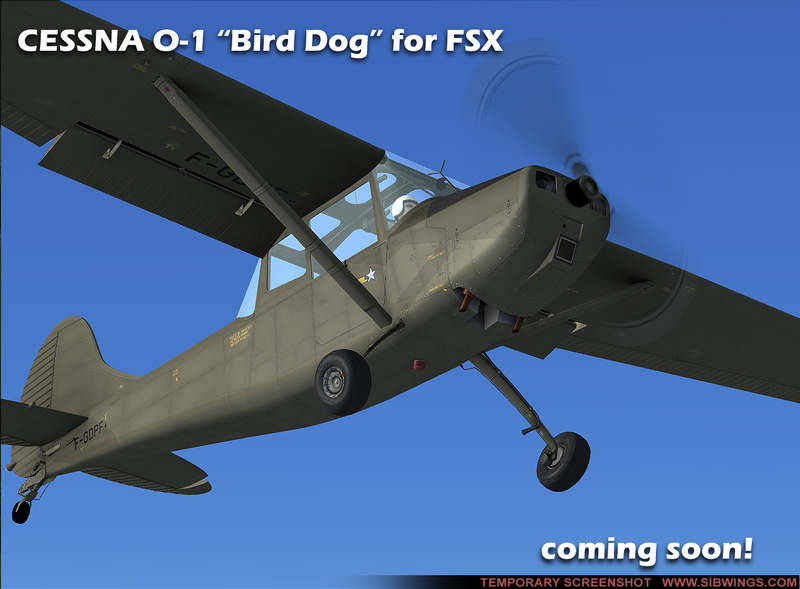 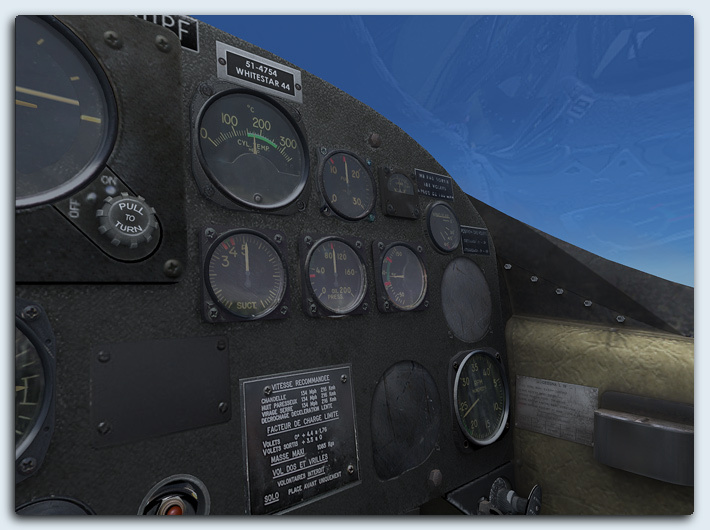 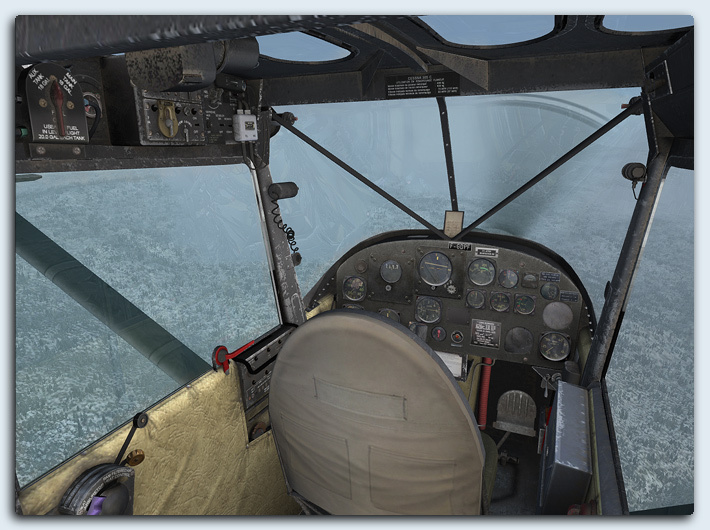 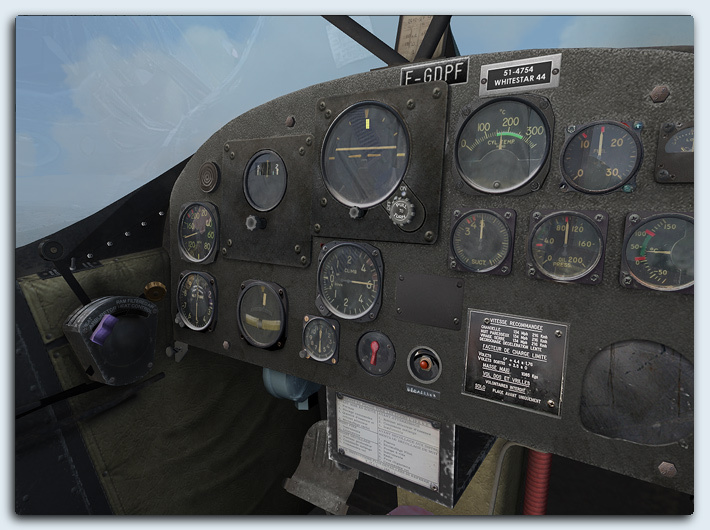 Cessna L-19/0-1 Bird Dog add-on will be compatible only with Microsoft Flight Simulator X SP2/Acceleration. 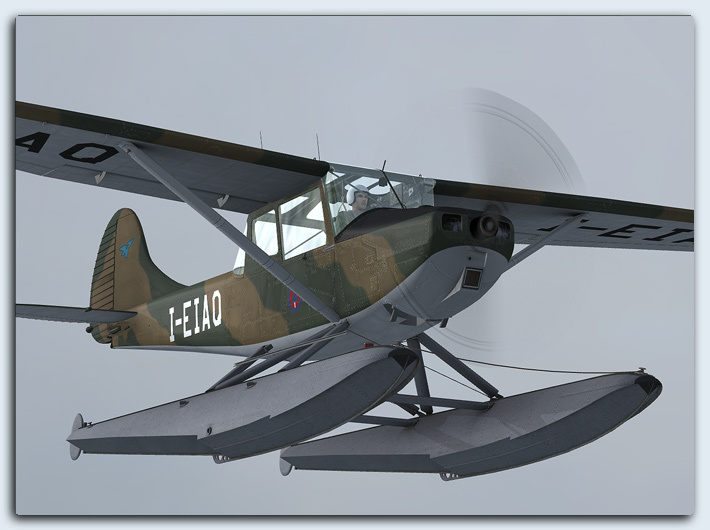 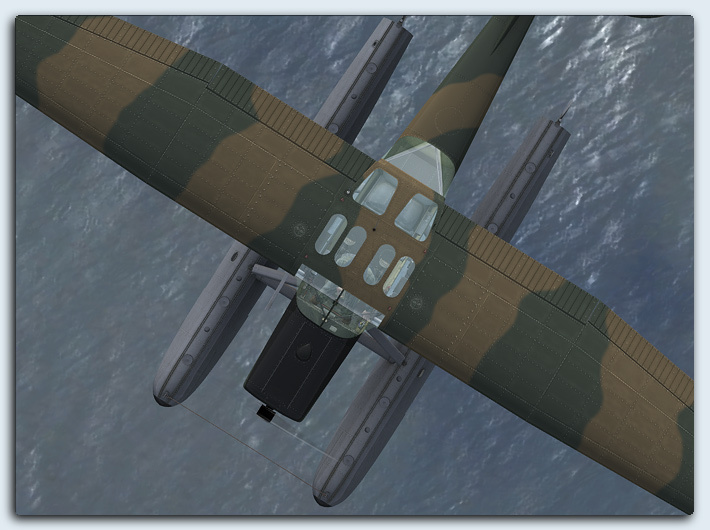 The package will include four different models: O-1A, O-1A floatplane, O-1E and O-1F, and plenty of repaints. 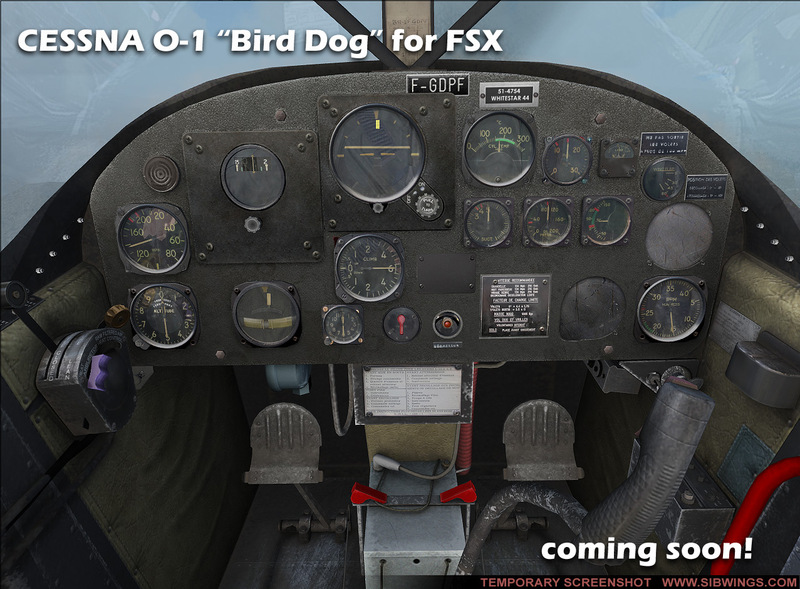 Our Bird Dog is in alpha testing now. 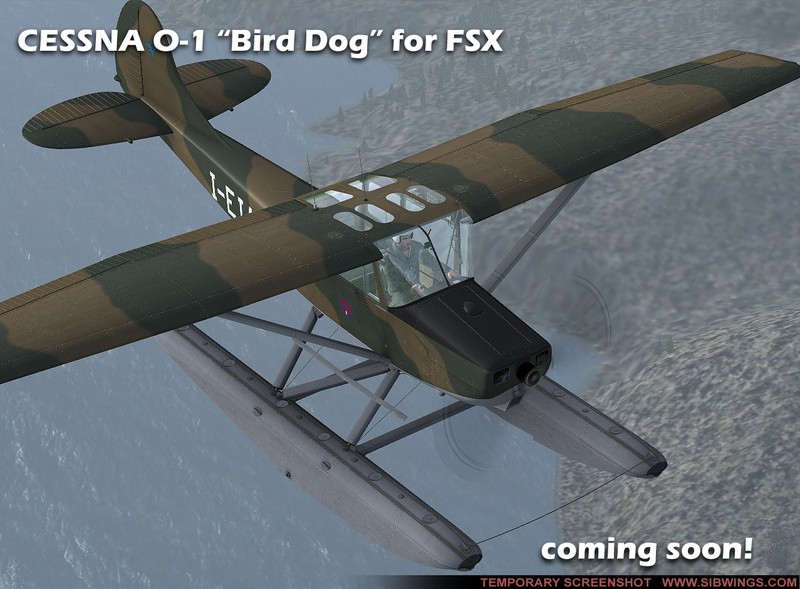 Beta tests are planned for January, 2009. 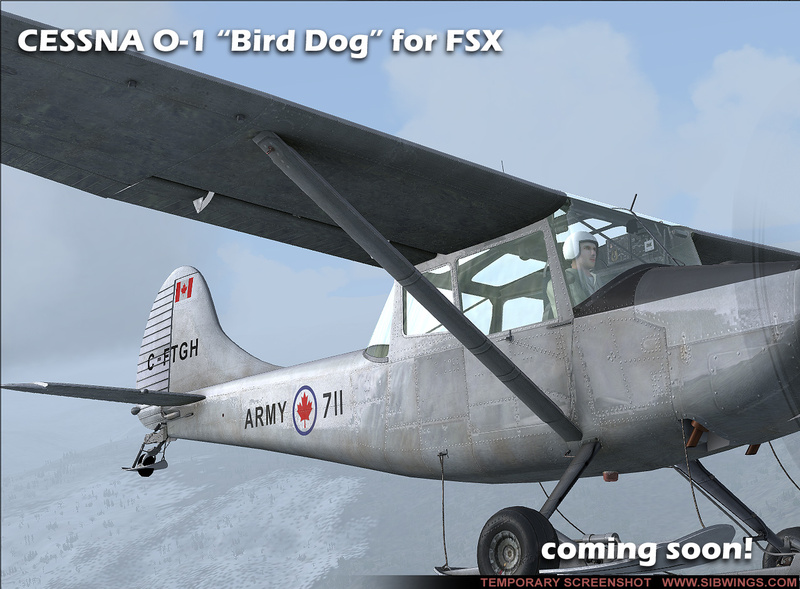 At the moment we do not have the exact release date, but we will do our best to present you this nice bird by March, 2009. 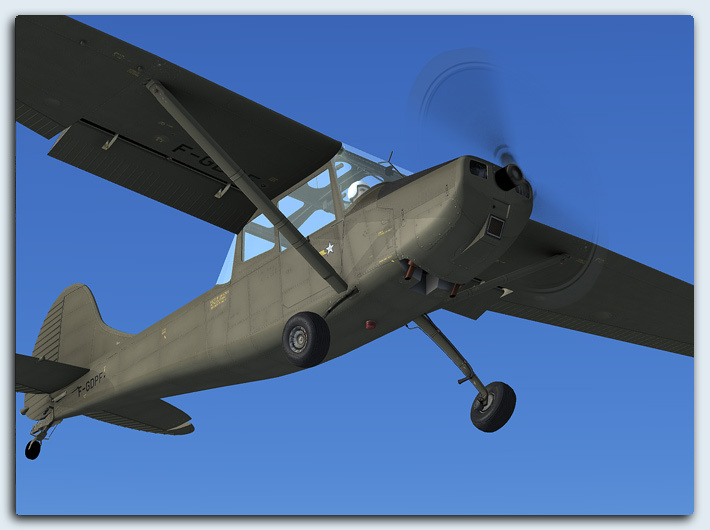 One more thing: our team has always been trying to meet all your needs and seeking to please you with new findings and features in our products. 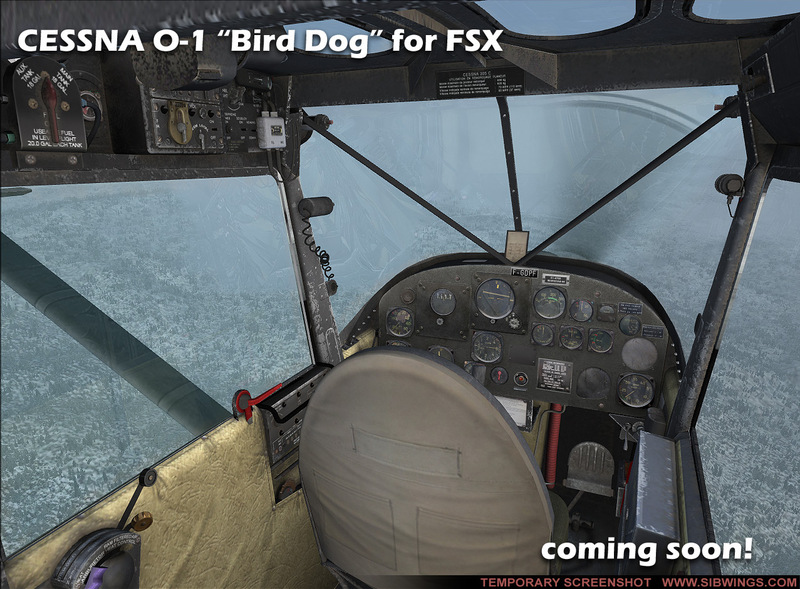 This time we are open for your ideas and suggestions about the features you would like to be developed in Bird Dog. 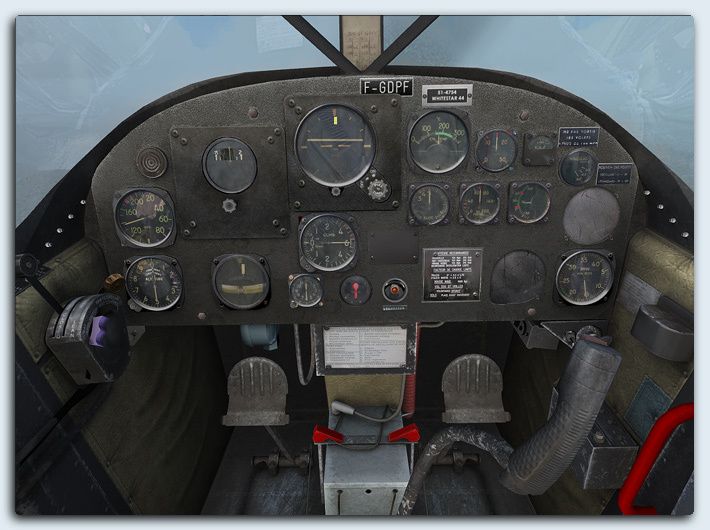 So, you are welcome! 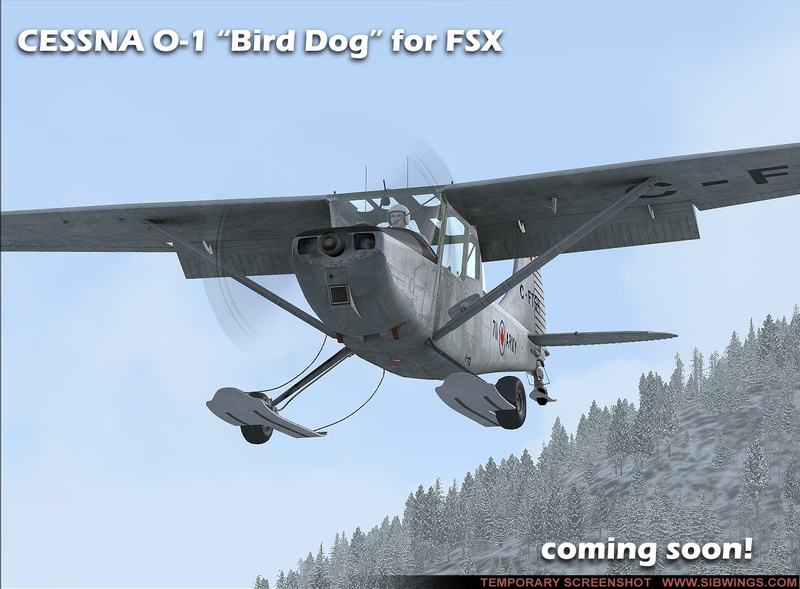 And while we are working you can enjoy first temporary Bird Dog screenshots below!